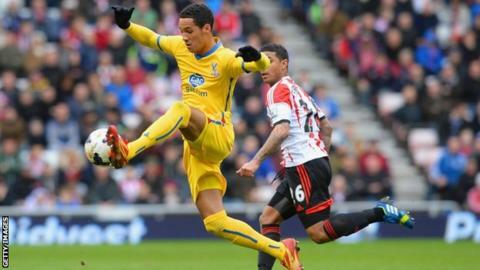 Crystal Palace manager Tony Pulis says the Eagles will attempt to sign on-loan Tom Ince on a permanent deal at the end of the season. Ince, 22, joined Palace on loan in January and his Blackpool contract expires in the summer. The winger has only started four Premier League matches but Pulis wants to keep him at Selhurst Park. "I'd love to sit down and get something done with him because I think he's a top player," Pulis said. "He's one that we'll look at once things are done. "Tom has been absolutely fantastic. Tom Ince will be a top Premier League player, without a shadow of a doubt. He's got all the attributes and everything else." As Ince is under the age of 24, Championship club Blackpool can still demand compensation for him if he joins another English club this summer.